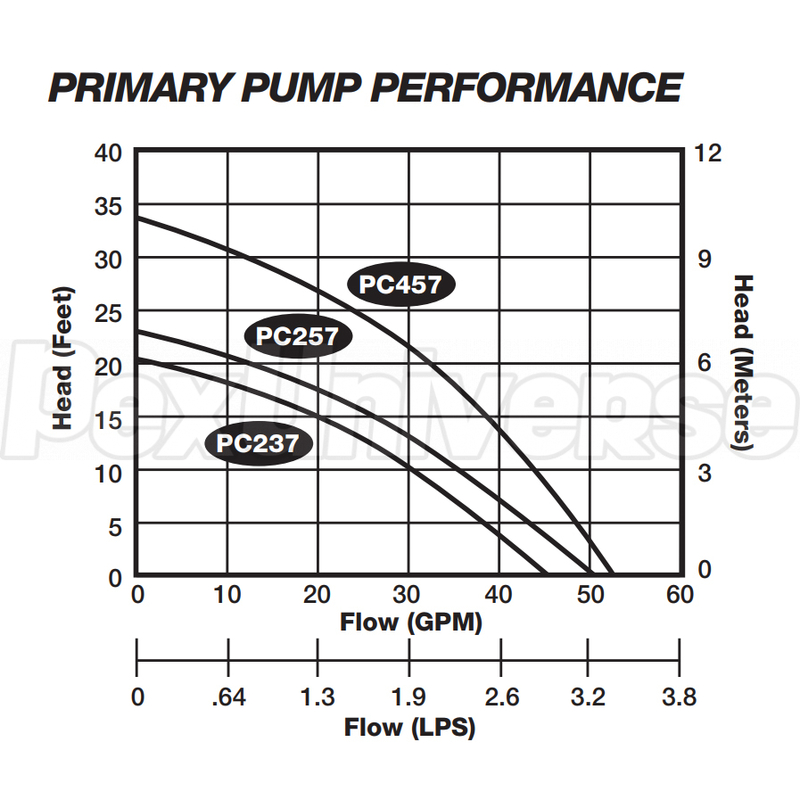 The Liberty Pump PC257-441 is a pre-assembled sump pump combo with a 1/3HP primary sump pump (Liberty PC 257) and a battery sump pump back-up system (Liberty 441). The Liberty 257 automatic, submersible sump pump is equipped with a magnetically operated vertical float (VMF) switch and has a max lift of 18'. It has a 1-1/2" discharge and comes drop-in-pit ready. 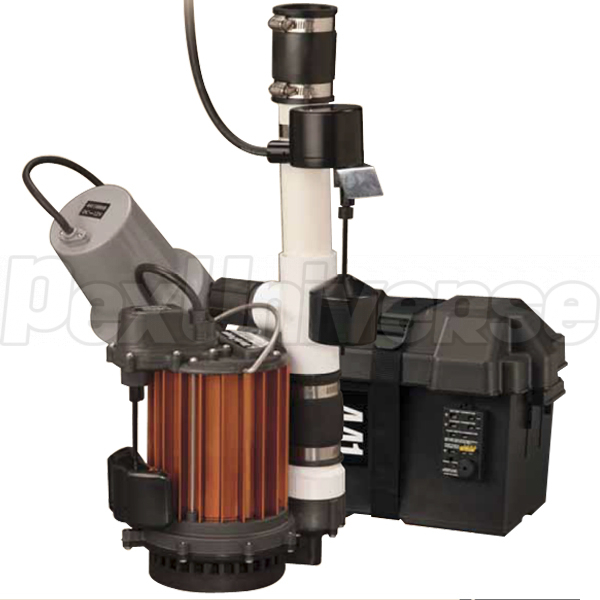 This sump pump can handle 1/2" solids and needs a minimum sump diameter of 15" to operate. 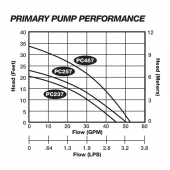 The Liberty Pump-441 is a battery sump pump back-up system that provides uninterrupted pumping in the event of a power outage or main pump (Liberty Pump PC 257) failure. The sump pump back-up system offers 5 stage battery charging (12V) and protection from battery burn-out or overcharging.